Scott Long is Distinguished Professor of Sociology and Statistics at Indiana University–Bloomington. He has contributed articles to many journals, including the American Sociological Review, American Journal of Sociology, American Statistician, and Sociological Methods and Research. 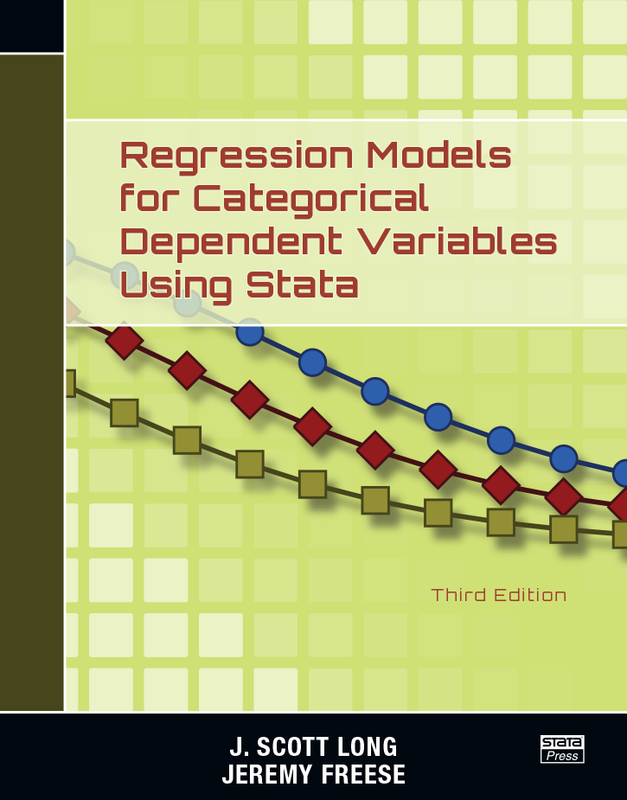 Dr. Long has authored or edited seven previous books on statistics, including the highly acclaimed Regression Models for Categorical and Limited Dependent Variables and The Workflow of Data Analysis Using Stata. In 2001, he received the Paul Lazarsfeld Memorial Award for Distinguished Contributions to Sociological Methodology. He is an elected Fellow of the American Statistical Association and a member of the Sociological Research Association. Jeremy Freese is Ethel and John Lindgren Professor of Sociology and Faculty Fellow of the Institute for Policy Research at Northwestern University. He has previously been a faculty member at the University of Wisconsin–Madison and a Robert Wood Johnson Scholar in Health Policy Research at Harvard University. He has published numerous research articles in journals, including the American Sociological Review, American Journal of Sociology, and Public Opinion Quarterly. He has also taught categorical data analysis at the ICPSR Summer Program in Quantitative Methods and at El Colegio de México. 1.1 What is this book about? 1.2 Which models are considered? 1.3 Whom is this book for? 1.4 How is the book organized? 1.7.1 What if an SPost command does not work? 1.8 Where can I learn more about the models? 4.4.1 Why use the m* commands instead of margins? 6.2.3 Should you use the AME, the MEM, or the MER?